Gladiolus aureus is a delicate, cormous plant, producing striking golden-yellow blooms in late winter and spring. Among South Africa’s many critically endangered geophytes, it is one of those closest to extinction in the wild. Figure 1. Gladiolus aureus golden-yellow form (Graham Duncan). This winter-growing, summer-dormant geophyte reaches 400–600 mm high in flower. It grows from a small, rounded corm which is covered with hard, light or dark brown outer tunics, and typically has a lifespan of 7–10 years. It produces 3, linear, grey-green, ribbed leaves which are covered with short, soft hairs, of which the lowest leaf is the longest, with the 2 upper ones sheathing and much shorter. Figure 2. Gladiolus aureus light-yellow form (Graham Duncan). The delicate flower stem is covered with short hairs and bears an erect spike of 3–6, or rarely up to 8, light yellow or bright golden-yellow, funnel-shaped, unscented flowers, comprising 6 tepals, and a perianth tube which is narrow in the lower part, but broadens suddenly towards the tepals. The flowers are all oriented in the same direction and have 3 included stamens, with prominent, cream-coloured anthers, which produce white pollen. The style is curved over the anthers, and composed of 3, somewhat sticky, style branches. Figure 3. Gladiolus aureus ripe capsules and seeds (Graham Duncan). The fruit is an oblong capsule, which, when ripe, splits along 3 longitudinal lines. 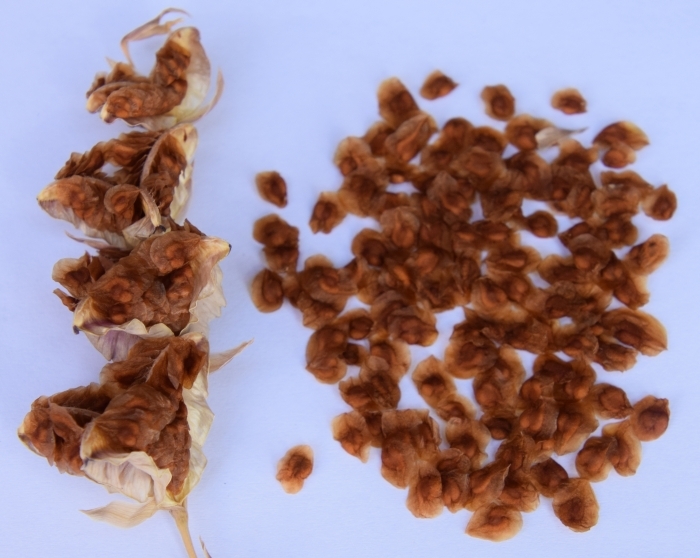 The russet-brown, oval-shaped seeds are surrounded by a prominent, light brown wing. 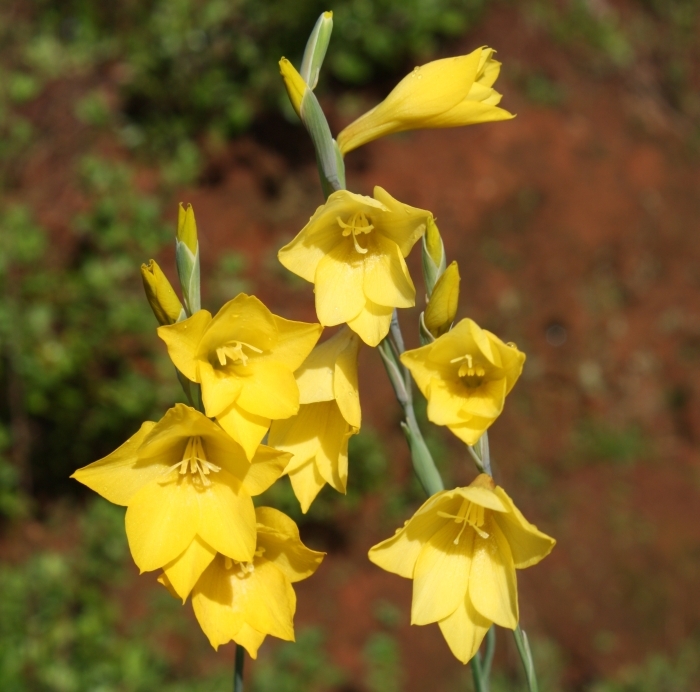 Gladiolus aureus is on the verge of extinction in the wild and is assessed as Critically Endangered (CR) according to the Red List of South African plants website, consulted on 13 March 2019. It is is restricted to a single small population that falls outside the boundaries of formally protected reserves and is highly endangered because of habitat degradation caused by groundwater extraction and gravel quarrying, human trampling and recreational use, smothering by alien plants, especially acacias (mainly A. saligna), and an expanding informal settlement. Figure. 4. Habitat of Gladiolus aureus (extant, lower population), southern Cape Peninsula (Graham Duncan). Gladiolus aureus is confined to a single location on a hill slope in the southern Cape Peninsula. Endemic to Peninsula Sandstone Fynbos, it grows in full sun in a temperate, frost-free environment, among low, scrubby vegetation, including grasses and annuals. 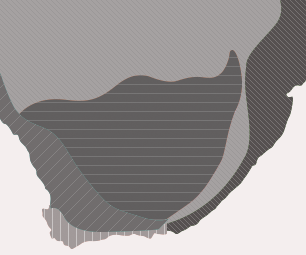 This last remaining population fragment occurs in peaty sand, underlain by gravel and clay, which is wet in winter, and remains so during the spring-flowering period. Fewer than 10 individuals remain in the wild, and the species is doomed to extinction, as the population is no longer viable, because of massive gene pool depletion. Up until the late 1990s, two populations survived, an upper population situated on a ridge in relatively drier habitat, and a lower population, in seasonally wet terrain. The habitat of the upper population became heavily infested with alien plants, and no individuals have survived there. During a search of the habitat of the lower (extant) population in August 2004, not a single flowering individual could be found, and subsequently, flowering specimens have only occasionally been recorded. When flowering does take place, seed production is low, as the capsules are heavily predated by insects and buck. Figure 5. 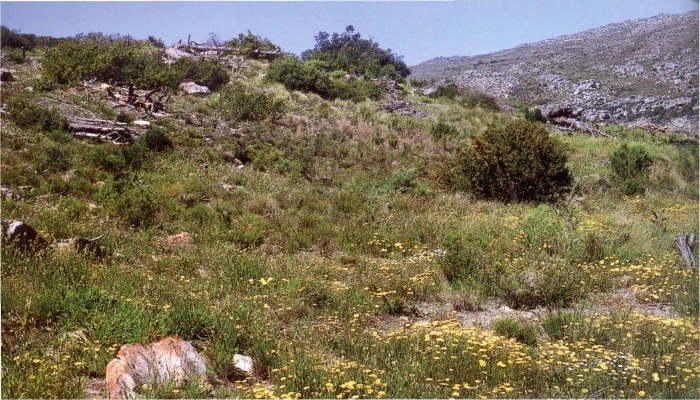 Habitat of Gladiolus aureus (extinct, upper population), southern Cape Peninsula (Graham Duncan). The genus name Gladiolus is derived from the Latin gladiolus, meaning ‘a small sword’, with reference to the narrow, sword-like leaves produced by many Gladiolus species. The specific name aureus is taken from the Latin aurea, meaning ‘golden-coloured’. The species was collected for the first time in August 1894 by the naturalist Mr C.B. 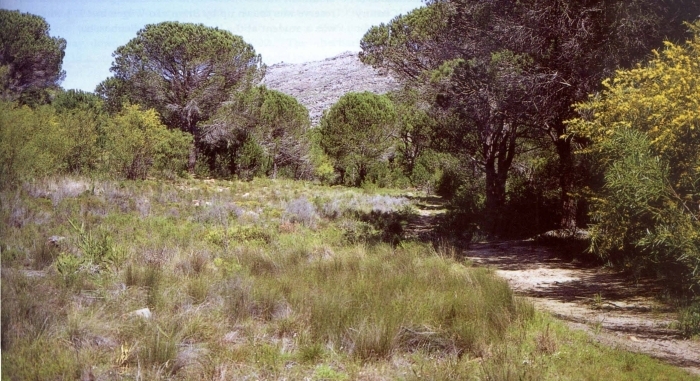 Fair, in the southern Cape Peninsula, and was described by the Kew botanist J.G. Baker in volume 6 of Flora capensis, in 1896. The plant was first illustrated in watercolour by Margaret Stones, whose plate in Curtis’s Botanical Magazine was published in 1965, from plants grown from seed in Dorset, England, collected in the wild by Prof. Tom Barnard. 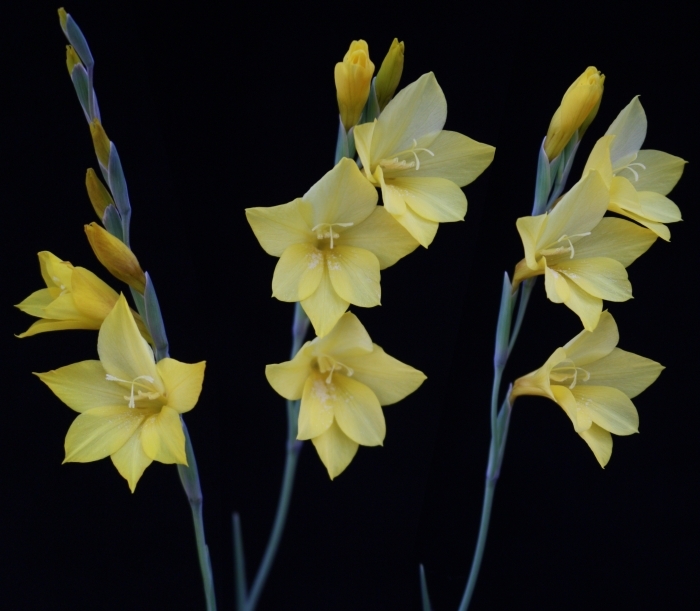 The species was re-assessed as Homoglossum aureum by the Pretoria botanist, Amelia Obermeyer, in 1972, but returned to Gladiolus by the Stellenbosch botanist, Miriam de Vos, in 1976. Endemic to the southern Cape Peninsula, G. aureus has historically always been confined to only a few sites. Its complete demise was almost brought about in the late 1960s and early 1970s, by the development of a township over most of its habitat, but, surprisingly, a number of plants survived. In 1975 and 1976, wild-collected seed was brought into cultivation in the nurseries at Kirstenbosch National Botanical Garden, and at the then Cape Department of Nature Conservation at Assegaaibosch, near Stellenbosch. In 1976, a further 1 100 wild-collected seeds, collected by the Rare and Endangered Plant Species Survey team, led by Prof. Tony Hall of the Botany Department, University of Cape Town, were temporarily placed in cold storage in the blood-plasma bank at the Cape Town Medical Centre, and later lodged in the Millenium Seed Bank at Wakehurst Place, United Kingdom. The largest number of flowering individuals ever recorded was 61, out of a total of 113 plants noted, in 1978. In 1978, a further 678 wild-collected seeds were placed in the blood-plasma bank, and transferred to cold storage at Kirstenbosch several years ago. These seeds were sown in the bulb nursery at Kirstenbosch in May 2017, a number of which germinated 6 weeks later, after 39 years in storage. Over the years, various efforts were made by staff of Cape Nature, SANParks and the Kommetjie Environmental Awareness Group, to monitor the plants, fence off one of the populations, and clear the area of alien vegetation. During the early 1980s, surplus seeds harvested from hand-pollinated flowers in the bulb nursery at Kirstenbosch, were distributed to specialist bulb growers in South Africa and abroad. Subsequently, additional pure seed from the nursery plants were added to the seed stock held at Wakehurst. In 1984, an attempt was made to establish a new population at an alternative site in the southern Cape Peninsula, and numerous corms, propagated at Kirstenbosch, were planted out into suitable habitat. Unfortunately, the plants only survived a few years before being decimated by wild animals, probably by rodents. A second attempt was made to establish a new population in 2012, and corms were planted into a different site, but these, too, succumbed to rodents. A third attempt, led by the Kirstenbosch Conservation Programme, will be made, to establish a viable population at a different site, in due course. Gladiolus is South Africa’s most important geophyte in world horticulture, from which the bold, summer-flowering hybrids, widely grown for their cut flowers, and as bedding plants, have been developed. The genus has in excess of 250 species, and is concentrated in the winter-rainfall region of the southwestern Cape, and also occurs in tropical Africa, Madagascar, Europe, the Middle East and Asia Minor. Figure 6. Gladiolus aureus, adult corms (Graham Duncan). Corms of Gladiolus aureus commence active growth in autumn, grow through the winter months, flower in late winter and spring, and are dormant in summer. The corm is replaced annually by a new corm, which develops above the old one, during the growing period. The ripe seeds are aerodynamic, furnished with a papery wing. At the beginning of summer, the dry capsules split, and the seeds are dispersed by the shaking action of wind, landing some distance away from the mother plant. During the dry summer months, the seeds are lodged at the base of low bushes, and become covered with wind-blown sand, and germinate following the first autumn rains. The flowers are pollinated by honey bees, which gather the pollen. The unripe seed capsules are often predated by buck and insects. Figure 7. Gladiolus aureus, showing leaves and flower spikes (Graham Duncan). Gladiolus aureus has no traditional or magical uses, but it is occasionally used as a container subject by specialist bulb growers. Although a threatened species, G. aureus is not more difficult to grow than most other winter-rainfall gladioli. It requires an acid, sandy growing medium such as 3 parts medium-grained river sand, mixed with 1 part fine, acid compost, or finely milled, acid bark. Plant mature corms in 15 or 20 cm diameter plastic pots in late autumn, at a depth of 2 cm. Provide an initial heavy watering, wait for the leaf shoots to appear, then water heavily every 7–10 days. The plants need a well-ventilated, and a sunny aspect, preferably receiving morning sun and afternoon shade. Flowering commences in late winter and early spring, and the flowers only open fully on warm, still days, remaining partially closed in inclement weather. Stake the delicate flowering stems, to prevent them falling over in strong wind. Hand-pollinate the flowers, by collecting pollen from the anthers with a water-paint brush, then dabbing the brush onto the stigmas of different individuals. Harvest the seeds as soon as the dry capsules begin to split, otherwise they will be blown away by wind. As temperatures rise towards the end of spring, allow the growing medium to dry out completely for the duration of summer. Figure 8. Gladiolus aureus, 1-year old corms (Graham Duncan). Since offsets do not form readily, propagation by seed is the most feasible method of multiplication. An almost 100% germination rate can be expected from sowing fresh seeds (those harvested in early summer, 6 months previously), and germination of fresh seeds typically occurs within 4 to 5 weeks. Sow the seeds in late autumn (late April or May, in the southern hemisphere), once cool weather has definitely set in. Choose a still day for sowing, as the light, aerodynamic seeds are rapidly whisked away by the slightest breeze. Sow the seeds in deep seed trays, or preferably in deep seed beds, in an area receiving morning sun, and under protection from heavy rain. Use a light, well-drained, acid, sandy medium, such as 3 parts medium-grained river sand and 1 part fine, acid compost, or finely milled, acid bark. Before sowing, moisten the surface of the sowing medium, using a watering can, fitted with a fine rose-cap. With an index finger, or tip of a trowel, make shallow rows about 5 mm deep, sow the seeds thinly into the rows, and cover with 5 mm of sowing medium. Apply a thorough watering with a watering can, and keep the medium moist by watering every second or third day. When the leaves start to turn yellow at the tips in late spring and early summer, cease watering completely and allow the seedlings to remain completely dry over the summer dormant period. Freshly harvested seeds that have been stored at low temperature in a fridge, maintain viability for many years. Allow seedlings to remain in the same position for 2 years, and at the beginning of the third season, lift and plant them into permanent containers. In ideal conditions, flowering can occur in the third season, but usually this takes place in the fourth year. The corms of G. aureus are susceptible to attack by mealy bugs, and the leaves and flower buds to aphids, and to fungal rotting, caused by Botrytis and Fusarium fungi. Provision of a well-ventilated environment will assist in keeping pests and diseases at bay. Duncan, G.D. 1981. Gladiolus aureus – its present position. Veld & Flora 67: 17–18. Duncan, G.D. 1987. Gladiolus aureus. The Flowering Plants of Africa 49: t. 1948. Duncan, G.D. 2002. Just holding on: spectacular geophytes in peril. Veld & Flora 88(4): 142–147.